Lebanon has a long history of civilization. Byblos and Tyre are listed among the oldest continuously inhabited cities in the world, and modern-day Beirut is built on layers upon layers of ancient remnants. But with all its historical wealth – whether artifacts discovered in the early 20th century and preserved for years, even through war, or items dug up at Beirut construction sites as recently as 2014 – are people in Lebanon interested in seeing it? That depends on how you sell it to them. 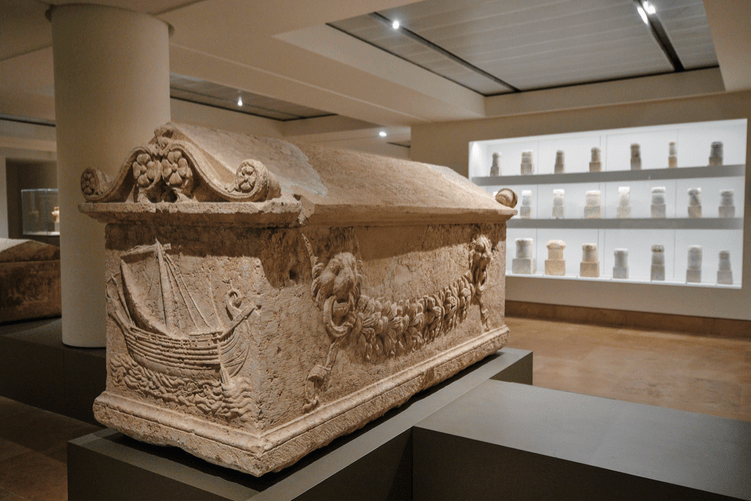 Known colloquially as mathaf, meaning simply “museum,” the spacious National Museum of Beirut houses a rich collection of archeological artifacts found in Lebanon, from prehistory to Ottoman times. While entrance fees to comparable museums in European cities such as Rome and Athens average 10 to 20 euros, Lebanon’s counterpart charges visitors 5,000 LL ($3.33), and only 1,000 LL (66 cents) for students. But these cities are brimming with tourists, and museum curator Anne Marie Afeiche points out that the lack of tourism in Lebanon in general corresponds to the low count of the museum’s visitors – something they have no control over. All in all she says things aren’t all that bad, and are getting progressively better. 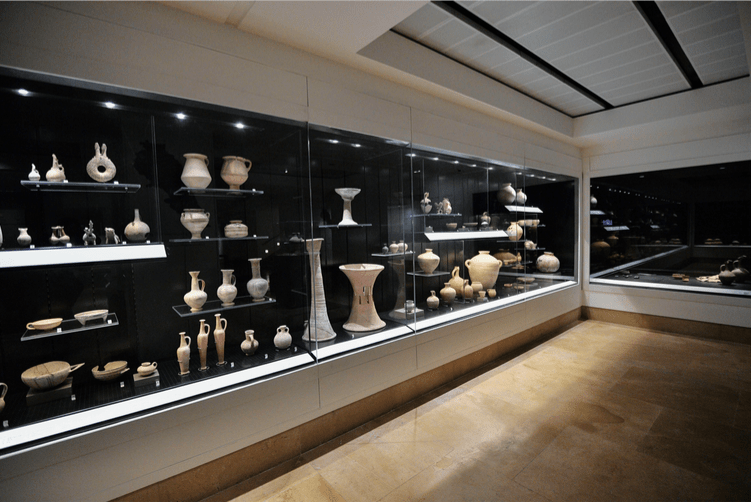 In fact, various initiatives are fostering a museum culture in Lebanon and drawing in more crowds. 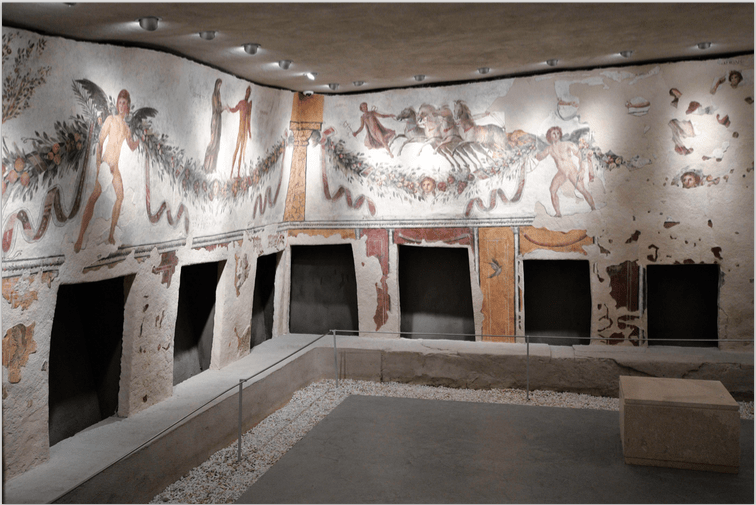 Since the opening of the museum’s newest exhibition dedicated to funerary archeology in the renovated basement, visitors have doubled to 4,000 per month. “This shows that to attract people to museums in general, and to the national museum in particular, you need to offer them something new or something different,” Afeiche says, admitting it’s their responsibility to do this. “We need to work on new exhibitions or have temporary exhibitions. [Right now] we don’t have the space for that, but that’s why we are building an extension,” Afeiche says, revealing that the three-floor annex being built next door should be ready to open in two or three years. It’s set to house temporary exhibitions, events and activities, as well as a restaurant. “Maybe [people will]come for a coffee and then visit the museum,” she says, half-joking, explaining that the new space will help them give people more reasons to visit. Creating events has also been successful in attracting crowds. 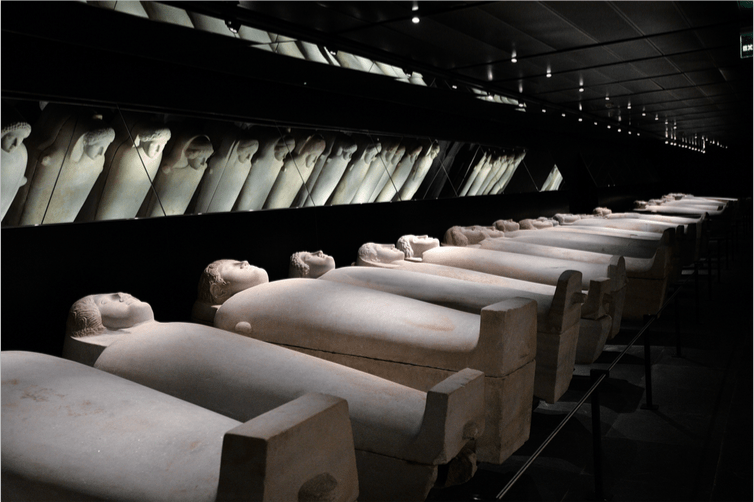 The Nuit des Musées, an international event where various museums are free of charge and open for extended hours on one night in the spring, was launched in 2014 in Lebanon by the Ministry of Culture and has drawn in thousands to participating museums. In its second year, the national museum had 5,000 visitors on that night alone – a clear sign that people are indeed curious, but perhaps just need a little push. Afeiche also sites other free occasions to visit the museum, like the National Heritage Day, International Day of Museums, as well as an open day organized by the museum store every December, when live music plays in the usually silent space. For the National Museum of Beirut to draw in more people long term, they are also trying to appeal to the youth. Their programs are tailored for school children, with special tours, activities and crafts created for any school that contacts them. But what better way to appeal to a generation constantly on their phones than through technology itself? The museum has its own app, downloadable on iOS and Android, and also available on complementary tablets you can borrow while strolling through the museum. Museum apps are only starting to become a trend internationally, so Afeiche is particularly proud that Lebanon is a pioneer in the region. While traditional human guides are available at the museum for a charge, the free app serves as a virtual guide that appeals to the public’s increasingly independent nature. 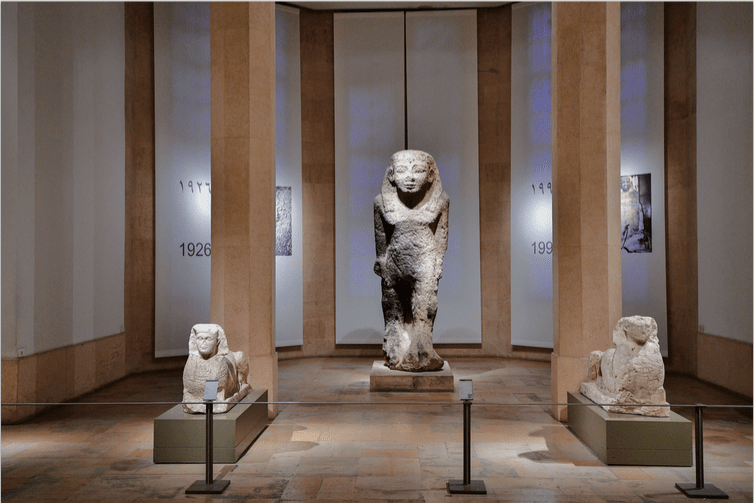 The app can be used to scan QR codes next to artifacts to learn more about each piece, with explanations available in Arabic, French and English, and includes other information about the museum through text, video and audio. To Afeiche, who has been part of the team behind the National Museum of Beirut since the 90s, the items in the museum are not just pieces of decorated stone, they are fragments of a story. The basement’s new funerary exhibition might sound morbid, but it’s actually an account of people’s lives, rituals and beliefs. “You learn a lot of things from these discoveries. The aim is to understand how people used to live, how they used to dress, what they used to eat,” she says. Highlights at the exhibit include the remains of the oldest Homo sapiens discovered in Lebanon, a burial jar (one of many, though this is the only one on display) that took more than seven months to restore, the world’s largest collection of Phoenician anthropoid sarcophagi (well-preserved marble tombs discovered in Sidon, each a different size with individual facial features presumably crafted to look like the deceased), the famous Tomb of Tyre (a Roman tomb decorated with beautiful fresco paintings, found inside a cave and meticulously moved into an exact replica room in the museum), and natural mummies from the Mamluk period (presumably Christians hiding from persecution) found in the Qadisha Valley. Even today, archeology is alive and well in Lebanon. Construction sites are monitored by the Directorate General of Antiquities (DGA), especially in areas with high potential like downtown Beirut and Achrafieh (which used to serve as a Roman necropolis).